Hello, and welcome to go2girl! 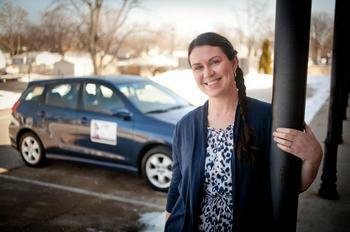 My name is Danell Culkin, and I'm the owner/operator of go2girl, and a lifelong resident of Central Illinois. In addition to providing quality residential cleaning services, I am married to a terrific man who is so loving and supportive in everything I do! I am the very proud mother of two amazing kids! My family is the greatest blessing in my life! My two dogs- Drago, a Siberian Husky and Alfie, an English Golden Doodle- bring so much laughter, love, and happiness into my life! I look forward to talking with you! Go 2 Girl is here to help!